The Chicago Cubs made roster moves on Monday officially sending prospects Kris Bryant, Addison Russell and Javier Baez to minor league camp. Cubs prospect Javier Baez will start the season in Iowa. Bryant and Russell going to Iowa to start the season really is no surprise. 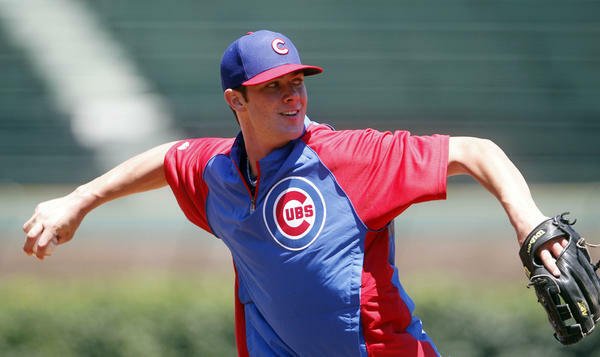 Bryant was expected to start in Iowa with a call up looming for the Cubs. The same goes for Russell as owner Tom Ricketts said at an event last Monday that the shortstop prospect will start the season in Iowa. It was reported about a week ago that Baez was told he would make the team out of camp, but manager Joe Maddon refused the report. Baez is talented but his strikeouts have become a concern for the organization, so sending him down to Triple-A to work on his swing isn’t the worst thing. With the move, it will allow for an infield platoon involving Tommy La Stella, Mike Olt and Arismendy Alcantara to split time at second base. Utility man Alcantara can also play center field if needed. Baez batted just .179 with 20 strikeouts in the spring, while Bryant hit 9 home runs.